Specializing in foot care since 1977. With a focus on respecting your patient care decisions, Amfit offers lab services and technology to help you achieve the right treatment results via completely custom foot orthotics. 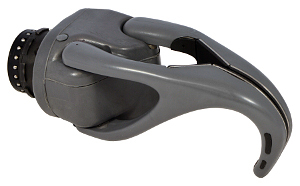 Equipment programs start with FreeScan through lease purchase of complete fabrication systems. We're here to help you maximize time and money while maintaining or improving patient care. To learn more, e-mail today. 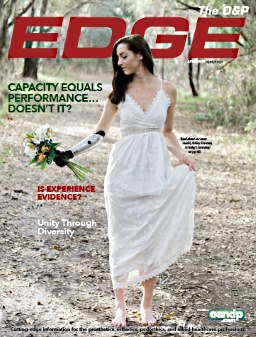 Allied OSI Labs is a leader in the custom orthotic and AFO industry. We provide superior service and high-quality products using the best materials. 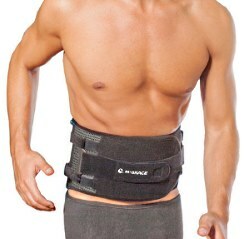 Allied OSI Labs offers the #1 recommended AFO-the Richie Brace®. The Academy of Pedorthic Science is one of the foremost and highly respected centers of pedorthic education. We have a pedorthic certification program, a therapeutic shoe fitter program, a certified veteran training center, continuing education courses, and employment and licensee opportunities. 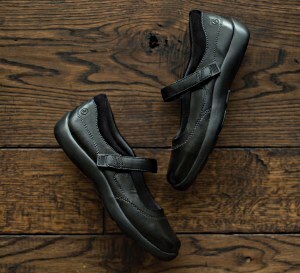 In a far too stagnant market of therapeutic footwear, we're bringing an unparalleled collection of refined footwear. At Anodyne, we've avoided the commercial vision of quick and easy comfort. Instead, we've returned to the fundamental roots of footwear-meticulous design, quality craftsmanship, and rigorous attention to detail. The A.C.M.O. 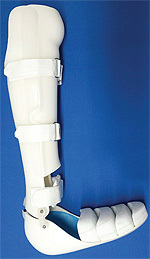 Achilles Contracture Management Orthosis is an alternative to serial casting. OHI is the global leader in lower-limb DME technologies for healthcare providers who treat diseases associated with the extremities. Through a growing family of brands, including Apex Foot Health, Arizona AFO, Australian Orthotic Group, Footbon, Langer Biomechanics, PedAlign, The Orthotic Group, and SafeStep, OHI continues to innovate and create global scale in an effort to provide a complete solution of therapies and medical technologies for their partnering customer base of healthcare providers. Recognized as a pioneer in the manufacturing of custom foot orthoses, ankle foot orthoses, and therapeutic footwear, OHI currently distributes medical technologies throughout North America, Europe, and Australia/New Zealand. 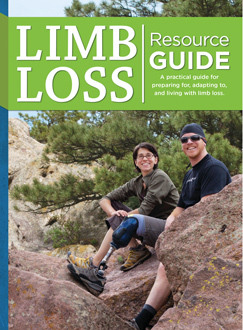 Healthcare professionals, for a free catalog and samples, call 800.424.5561. Foot care retailers, for referrals and free displays, call 800.356.8185. For direct patient orders and free brochures, call 800.PEDIFIX. Mention The O&P EDGE ! 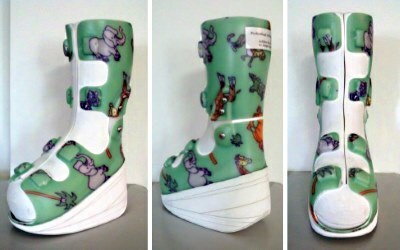 Sole Innovations' expertise in fabrication, P&O services, and billing, combined with our prices, craftsmanship, and fast turnaround, makes us the fabrication specialists for your custom AFO needs. Visit our website for pricing and ordering information. 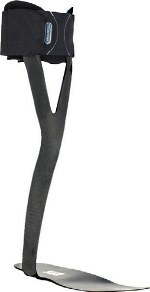 We are the exclusive fabricators of the Toad Anti-Gravity Brace. 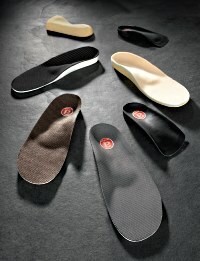 Apis is a manufacturer of custom foot orthotics and custom shoes. We promise to use top-quality materials in all custom products, and have a no-risk guarantee. 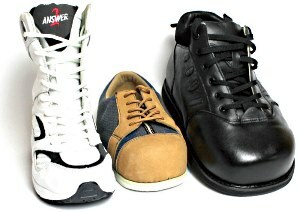 Whether it is high-top athletic shoes or super-wide comfort shoes, you can choose any style in the catalog. One pair of custom-molded inserts are included. Save more when you combine your regular shoe order with custom-made inserts. Free 3D camera offers instant data transfer, permanent recordkeeping, and huge savings on shipping and labor. Your satisfaction is our first priority. Do not fit, do not pay. 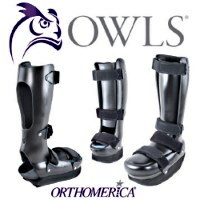 The OWLS® Program is a culmination of more than ten years of clinical orthotic development accommodating diabetic ulcers classified Wagner 1-4 with custom orthoses. These devices correct and stabilize the ankle complex to better enhance diabetic wound unloading and mobility and to promote healing. 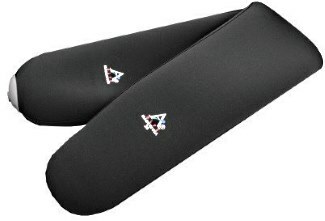 These orthoses will complement the ongoing wound therapies and post-operative care being offered at wound centers worldwide. For more information, visit www.orthomerica.com/owls. Ypsilon® Flow is the newest member of the ToeOFF family of products. 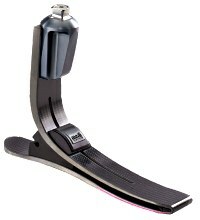 It's the AFO of choice for active patients with foot drop and no other ankle or proximal deficits. 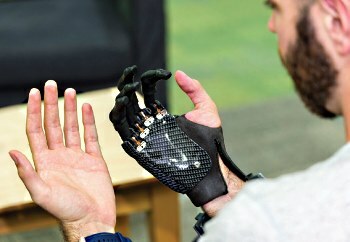 The increased range of motion accommodates different terrain and longer strides. 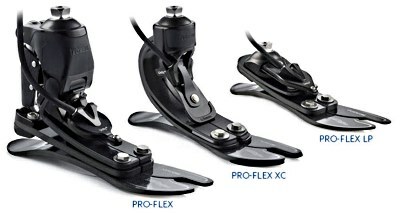 The new geometry design provides a dynamic response for foot lift without restricting or immobilizing normal joint or muscle activity. 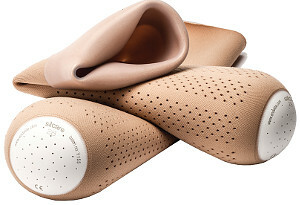 A gradual heel rise allows for an intimate fit in the patient's shoe. It is Allard USA's goal to provide dynamic response AFOs without limiting function. Call customer service for more information today. 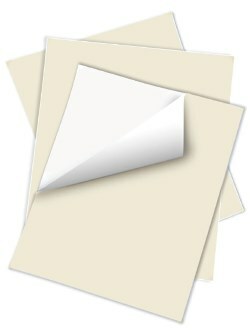 The all new www.college-park.com has been completely redesigned for you. Browse everything College Park in one place. Discover our unique product wizard to find the ideal foot, build the product to the exact configuration you need with an easy check-out process, place the order, and see the invoice or pay on the spot. Create your online account to get 24-7 access to your unique dashboard with online order history and order status, as well as special practitioner assets like technical manuals and educational resources. 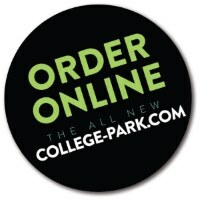 Explore the new and improved www.college-park.com today. 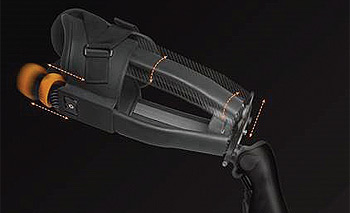 A prosthetic knee designed and engineered for cycling, surfing, boarding, and skiing. 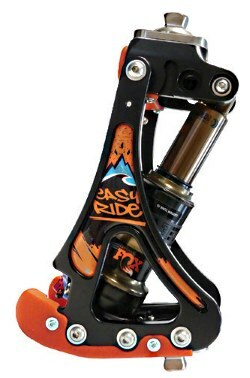 For more information about Easy Ride, e-mail customer service at info@nabtesco-proteor-usa.com. 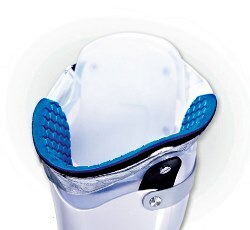 Watch our video "Easy Ride Knee" by MediaProteor on our YouTube channel.